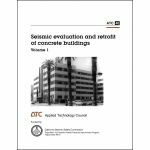 Minimum quantity for "Seismic Evaluation and Retrofit of Concrete Buildings" is 1. Minimum quantity for "Raccomandazioni congiunte Stati Uniti-Italia per il Controventamento e lÍAncoraggio dei Componenti Non Strutturali negli Ospedali Italiani" is 1. 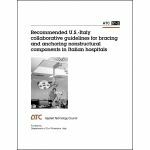 Minimum quantity for "Recommended U.S.-Italy Collaborative Guidelines for Bracing and Anchoring Nonstructural Components in Italian Hospitals" is 1. Minimum quantity for "Raccomandazioni Congiunte Stati Uniti-Italia" is 1. Minimum quantity for "Rapid Visual Screening of Buildings for Potential Seismic Hazards: A Handbook (Second Edition, FEMA 154)" is 1. Minimum quantity for "Rapid Visual Screening of Buildings for Potential Seismic Hazards: Supporting Documentation (2nd Edition, FEMA 155)" is 1. 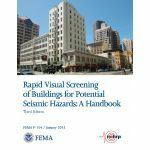 Minimum quantity for "Rapid Visual Screening of Buildings for Potential Seismic Hazards Training Manual" is 1. Minimum quantity for "General Acute Care Hospital Earthquake Survivability Inventory for California, Part A" is 1. Minimum quantity for "General Acute Care Hospital Earthquake Survivability Inventory for California, Part B" is 1. 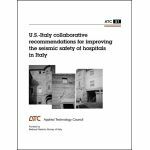 Minimum quantity for "U.S.-Italy Collaborative Recommendations for Improved Seismic Safety of Hospitals in Italy" is 1. Minimum quantity for "Recommended U.S.-Italy Collaborative Procedures for Earthquake Emergency Response Planning for Hospitals in Italy" is 1.